UKAA – the organisation for the UK Build To Rent sector. The UKAA was launched in 2016 as in response to a growing awareness of the need for a single unifying body to the Build To Rent sector and to the increasing levels of interest in Build To Rent from many parties – government, investors, operators and above all customers who want to rent purpose built homes from professional landlords. We now have 150 members from across the sector and are growing at the rate of more than 100 members per year. The UKAA is a Global Alliance Partner of the NAA (National Apartment Association) in the US. The NAA have been in existence for over 70 years and represent over 8.5 million rented units. It offers a wealth of experience and expertise in the US Multi-Family Housing sector, the equivalent of UK Build To Rent that we are able to leverage and learn from. To make Build To Rent a lifestyle of choice for our customers by: •	Spreading the message about the benefits of Build To Rent; •	Communicating how Build To Rent can help address the UK’s housing crisis; •	Developing best practice amongst our members, raising standards and focussing on our customers; •	Enabling our members to learn from each other and from 40 years of experience from the USA; •	Creating the authoritative source for information on Build To Rent in the UK. Our activities include: •	A comprehensive events programme for our members, covering business to business networking, peer to peer learning, supplier forums, and social events; •	Educational and training programmes and opportunities, addressing the current and future needs of our members, their teams and people entering the sector; •	UK and international study tours to understand best practice, learn about the future and research alternative solutions to common problems; •	Research and innovation projects to improve the quality of decision making by the industry and other stakeholders including government. •	Working with other property organisations and stakeholders, to ensure a single voice for the sector, efficient use of resources and improved outcomes. Greystar is a leading, fully integrated real estate company offering expertise in investment management, development, and property management of rental housing properties globally. Headquartered in Charleston, South Carolina with offices throughout the United States, UK, Netherlands, and Mexico, Greystar is the largest multifamily operator in the United States and offers approximately 410,000 residencies in 130 markets worldwide. Greystar has a robust institutional investment management platform dedicated to managing capital on behalf of a global network of institutional investors with over $12 billion in gross assets under management including $3.9 billion of developments underway. Greystar Holdings Europe Ltd, the European arm of Greystar, was founded in 2013 and employs approximately 110 people in the UK. It has an ownership interest and management of over 28,000 student housing beds, and is actively growing its multifamily pipeline in the UK and Europe. 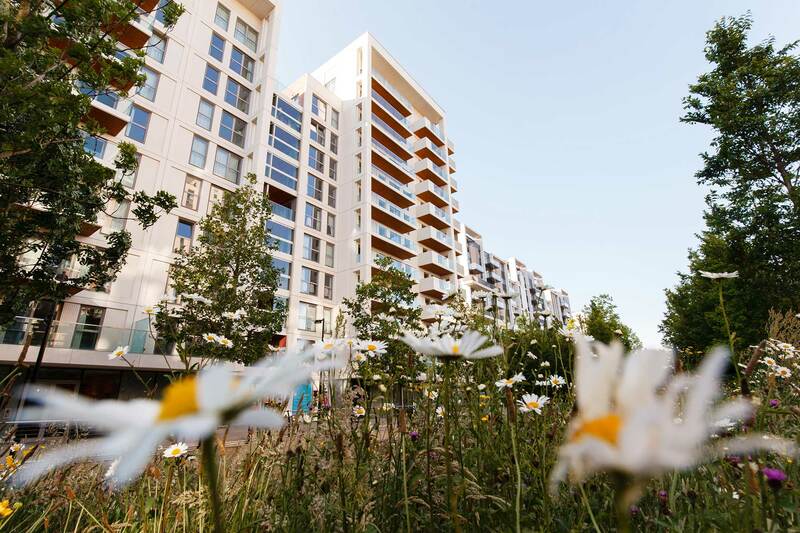 In 2016, when asked to participate as a founding sponsor of the UKAA, RealFoundations recognised the opportunity to be a part of a pioneering organisation focused on the UK’s growing Build To Rent sector. At RealFoundations, real estate is not just the industry we serve – it is our passion and the singular focus of our consulting and services business. We are committed to UKAA’s mission – to establish a network of real estate professionals, to share leading practices, and to help industry participants mature and innovate – in particular, in our focus areas of operations and technology. We have decades of experience working with the leading companies in the US multifamily sector, and as a UKAA sponsor RealFoundations sees an opportunity to continue our mission – to help investors and operators in the UK’s BTR sector run better. As long-term members and supporters of the NAA in the USA, Roomservice by CORT was delighted to support the creation of the UKAA when it came to the UK in 2015. As founding members, we wanted to support an organisation that is set up to serve the specific interests of Build To Rent owners, managers developers and suppliers. We firmly believe that the UKAA’s information, education and best practices will only benefit the needs of the renting public. As proud founding sponsors, Yardi continues to support the values of the UKAA and subsequent encouragement of knowledge sharing and guidance for best practice in the Build To Rent sector. With over four decades of experience in the provision of award-winning investment, asset and property management software to the residential sector, Yardi understands the multiple factors required to create a rewarding Build To Rent community.